There are many scholarship and grant opportunities for EMT-Paramedics. Some of these scholarship and grant options will be enough to cover all or much of the cost of your education and training. If you have a parent who works or worked as a first responder and you have decided to follow in their footsteps, there are quite a few potential scholarships for you. There are programs for sons and daughters of EMTs, paramedics, police officers and firefighters. Some scholarships are available for children of people who work in other public safety fields too. Let’s look at just a couple examples. This scholarship is to honor first responders who lost their lives on September 11, 2001, so they will never be forgotten. You can apply for this scholarship if you have a parent who works as an active first responder. You will need to be taking a program at an accredited college or university. A short essay will be required with the application. You will also need two different references from either community leaders or from faculty at your high school. There are quite a few scholarships for children of parents who lost their lives or who became disabled as a result of going into danger during the 9-11 attacks. You can talk to a counselor at your high school or a financial aid officer at your college to assist you in finding these type scholarships. If you have a parent who works in a public safety and security field, you might qualify to apply for this scholarship. You could use this scholarships to attend a qualifying EMT or paramedic training program. To apply, you will need to show that you have good test scores and do well academically in school. You should also be able to demonstrate that you participate in extracurricular activities. An essay discussing what it means to have a parent involved in public safety is required with your application. This scholarship was created in honor of a paramedic, Carlos Lillo who lost his life in the World Trade Center in 2011. Anyone wishing to apply will need to submit an essay along with their application. It is also necessary to send their current work or educational resume. This scholarship is meant to help those who have financial need but who are looking for a career as an EMT or Paramedic. This scholarship program has options for first responders who wish to earn their EMT-Basic credential. They have another scholarships for EMTs who wish to advance their training and career into the paramedic field. The amount you may be awarded if approved can vary. You should be able to demonstrate why you are a good candidate for this scholarship. This scholarship is available to individuals pursuing a paramedic degree in Tennessee and Kentucky. The student will need to already be in a program before they can apply for this particular scholarship. There are likely scholarship programs such as this available in the state where you live. A financial aid counselor can help you find such options. There are association scholarships that can assist you with your training depending on your circumstances and locations. You can probably find options near you. Here are a couple different examples. This scholarship is for EMS students who can demonstrate their commitment to the EMS field. And individual must live in Iowa and either be a member of the IEMSA or have a family member who is. Your financial need will be taken into consideration if you apply for this scholarship. This scholarship fund is for individuals in the San Francisco bay area. It was to honor Sandy Rehmar who fought leukemia with bravery. If you are going to apply for this fund, you will need to show good academic success. You should show that you will use your career to help others and to always exemplify bravery. Search associations in your location to find options that might be available to help you pay for your paramedic training. Some employers have tuition assistance programs. Depending on where you work, you may be able to use an employer scholarship program to assist you in becoming a paramedic. For example, if you already are working as an EMT, your employer might pay for or towards your training to become a paramedic for them. You will then continue to work for this employer for an agreed amount of time as a paramedic. Paramedic programs are usually credit based. In fact, many are for an Associate’s Degree. As such, you may qualify for state and federal grants. These grants can help you cover the cost of your Paramedic training/degree. You will need to complete the Federal Application Form and there may be forms you need to fill out for your school’s financial aid office. The Federal government sponsors various educational grants. And most states have their own grant programs. The requirements for these grants can very from one state to another. You will need to enroll in a Paramedic Program at an accredited school and will likely need to complete at least 6 credits per semester. Some grants are based on specific life circumstances. Others are given to students who have shown academic excellence and or a commitment to community service work. And many of the grants will be based on your financial status. Most colleges have a collection of their own scholarships for which you can apply. Some of these are institution based and others are foundation scholarships. Talk to a financial aid officer to help you identify scholarships for which you should apply. 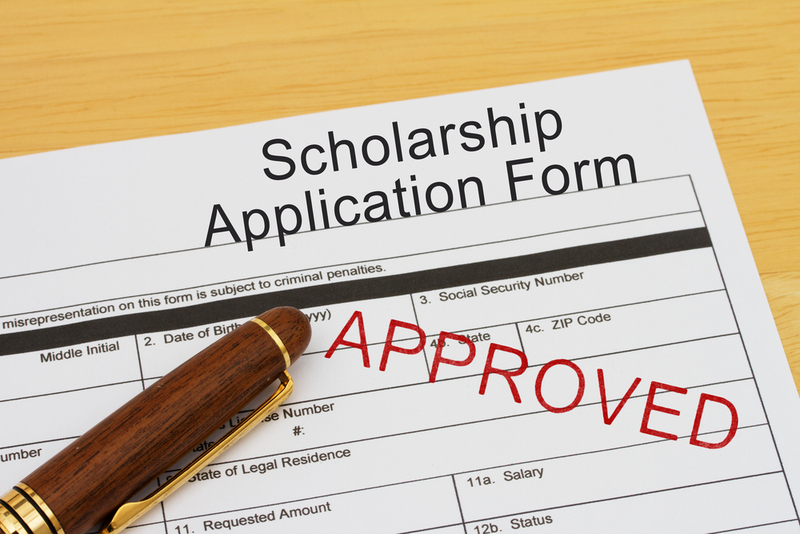 Whenever applying for a scholarship, make sure you carefully read the application and requirements. Some require references and other full letters of recommendations. Others will have you write an essay. They may require your current grade reports from high school or college. Pay careful attention to deadlines for scholarships. Keep in mind that although some scholarships are need based, others are based on academic status, your volunteer work in the community, a history of extracurricular activities or any number of other criteria. Visit scholarship databases to help you find scholarships that meet your needs and circumstances. For example, you can locate many potential awards programs using Fastweb.com. You will answer a series of questions and enter a lot of details on these sites. The site will then generate scholarship options for which you might qualify. You will be provided with application information, addresses and websites. Consider applying for several different scholarships to increase your odd of being approved for one or more. It is possible that you may have circumstances that would make you eligible to receive EMT or Paramedic training through the Workforce Investment Act. You would need to visit a local job center to determine if you might be eligible and if there are any participating Phlebotomy programs in your local area. Workforce grants are usually intended for individuals who are not working through no fault of their own. Sometimes displaced homeworkers can also apply. You may qualify even if you are working if you do not have opportunities for advancement and if you have a very low income. If you are in the military or have served in the military, you might qualify for the GI Bill and other tuition assistance programs to help you pay for your Paramedic program. 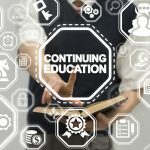 You should visit the VA office at your college/school of interest to help you determine what benefits you have (if any) that would pay for your training. In some cases, you will also qualify for a monthly stipend and other benefits while you train for your new career in civilian life. You can search for various other scholarships options. For example, many large companies have scholarships for which college students can apply. Tylenol and Coke Soda for examples have scholarships. Many civic groups and organizations have grants and scholarships for which people can apply as well. Your parent’s employer might have scholarships programs for which you can apply. There are literally thousands of scholarships you could look into to help you pay for your Paramedic training. Be prepared to spend a good deal of time completing these applications in their entirety.